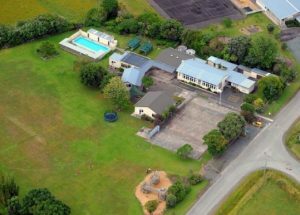 Tapora School is situated in a supportive rural community on the Okahukura Peninsula which juts into the Kaipara Harbour. 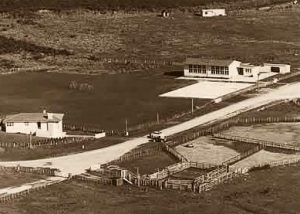 The area was originally settled by Ngati Whatua and then, more recently by returned servicemen after the war. There are still farms run by the descendants of these settlers. The district has two distinct geographical areas: the low lying western end of the peninsula taken up largely by dairy farms and avocado plantations; and the more rugged and hilly central and eastern regions of mainly sheep and cattle farms. There is a settlement of holiday and retirement homes near the beach. The closest town, Wellsford, is 33 kilometres away. It acts as a service town for a large rural area that stretches from the east coast to the west. Warkworth is another fifteen minutes’ drive south from Wellsford and offers a greater range of services and employment opportunities. Auckland is an hour and 30 minutes to drive. Tapora community enjoy a beautiful rural setting while having access to city facilities if needed. The school draws students from the Tapora district, as well as from Wellsford, the Wharehine and Port Albert areas. The school is staffed by the Principal, one full time teacher, principal release (MOE funded), part time staff of office administrator, teacher aide/s, caretaker and a cleaner. Our teachers aim to deliver an exciting, engaging and challenging programme with an emphasis on literacy, numeracy and inquiry learning. Teachers at Tapora School are passionate and enthusiastic about teaching and learning while, through our CHaOS curriculum delivery framework, our learners are motivated and self-managed. We offer something different for children and their families at Tapora School. 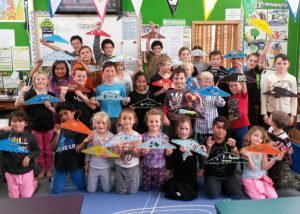 We believe that “small is good” in that we offer smaller class sizes, a high student/IT ratio and a strong tuakana/teina culture in which our senior students are always looking out for our younger students and everyone knows and cares about each other. As a school, we welcome and embrace community involvement and engagement. Parents and members of the wider community are always welcome and regularly give their time, skills and expertise to enrich our school environment and the learning that goes on here. Tapora School has a strong commitment to staff and students having access to and the use of computer and digital technology to support teaching and learning. We aim for our students to respect both themselves and others, take responsibility for their own learning and their actions and have the willingness and confidence to pursue their dreams with integrity and a generosity of spirit.